It is all change for Thomas the Tank Engine. The much-loved television series, based on the books by Rev Wilbert Awdry, is being overhauled for a new generation. Tidmouth Sheds will become gender-balanced, with two male engines turfed out to make way for females - one of them from Africa. The Liverpudlian narrator - a tradition begun by Ringo Starr, then continued by actors Michael Angelis and Mark Monaghan - will disappear, as will the theme tune with its roll-call of engine names. But in the most unlikely change of all, Thomas will leave his home on the Island of Sodor for adventures abroad, in episodes that support the United Nation's Sustainable Development Goals. 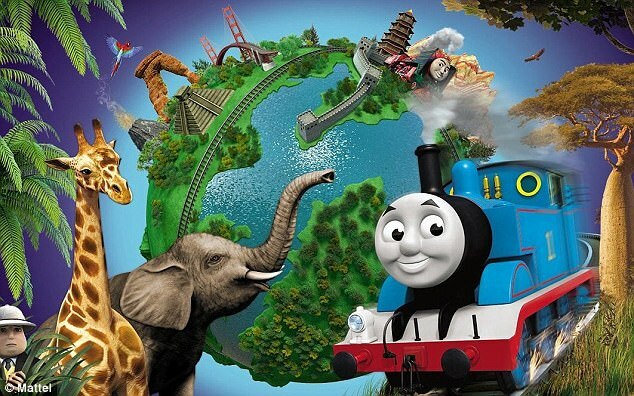 Mattel, the US toy giant that owns the rights to Thomas the Tank Engine, has collaborated with the UN on storylines featuring five of the goals: quality education, gender equality, sustainable cities and communities, responsible consumption and production, and life on land. It is a "groundbreaking refresh", according to Mattel, and is based on market research with hundreds of parents and children. The series has been criticised in the past as sexist, classist and anti-environmentalist. Small changes have been introduced in recent years, including the arrival of a Japanese engine, Hiro, and a spin-off DVD featuring engines from other countries. But the new overhaul, beginning with the 2018 series, is the biggest transformation since the television adaptation was first broadcast in 1984. Rev Awdry made up the stories to entertain his young son, Christopher, who was confined to bed with measles. The first was published in 1945. Sodor was based on the Isle of Man, and Rev Awdry drew on his own childhood growing up next to a railway station in the village of Box, Wiltshire. But with competition from US cartoons, the story has to evolve. The new episodes will be faster-paced and feature fantasy sequences. Thomas will "break the fourth wall" to narrate the series himself and speak directly to viewers. "We have done over 500 episodes and I don't think we could sustain just doing episodes on Sodor any longer. We wanted him to discover new things, and for the first time he will be leaving Sodor and England. "It opens up so many new things - colours we can use, animals he can meet. 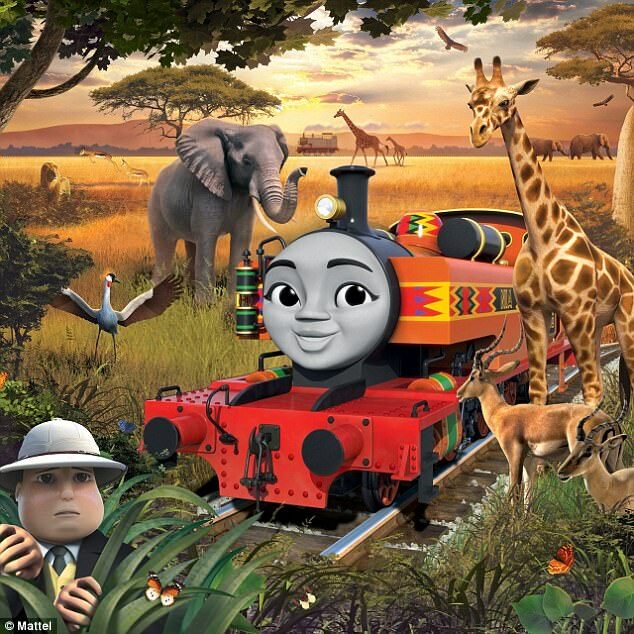 We couldn't have him encountering a new animal in Sodor every week, but now he can meet kangaroos in Australia, tigers in India, pandas in China." Half of the 26 episodes in the new series will take place abroad. The others will be based at Tidmouth Sheds, where Henry and Edward will move out to make way for Nia, an orange engine from Africa, and Rebecca, a bright yellow engine from closer to home. They will join the other female engine, Emily, and boys Thomas, Percy, James and Gordon. "In the past there have been other female engines, but they've tended to be there for a couple of episodes and then disappeared into the background. Now the core team will have four males and three females," McCue said. "We're not making these changes for the sake of it. We know that a lot of girls love the show. The audience on [Channel 5's] Milkshake is 50:50." In 2013, the Labour MP Mary Creagh complained that Thomas was perpetuating "negative stereotypes" and said it needed more female engines in order to encourage girls to be train drivers. The arrival of Nia also represents a positive message about immigration. They meet in Africa, and Thomas invites her to England. "It's a bit like a new kid turning up at school, and how other children would react to them. We want those children to be welcoming. And we want to make sure it's diverse. "I feel like we're doing the right thing for the show and it's about time we added all these elements." Explaining the tie-in with the UN, McCue said: "We told them that our audience is very young, so we can only deal with some of the sustainable development goals. But 'life on land' is the plight of animals. For education, we have an old coach abandoned then brought back to the yard and turned into a mobile classroom." Replacing the theme tune is likely to make some fans unhappy, McCue conceded. "If anything came out of the research that was universally positive, it was the roll-call song. But we can't go around saying we've got this brand new show and then start it with the same song - people would say, 'What's new about this?'" The Fat Controller will remain, but is becoming less gruff and "more endearing". Rev Audrey died in 1997. His family were given a preview screening of the new show and loved it, McCue said. 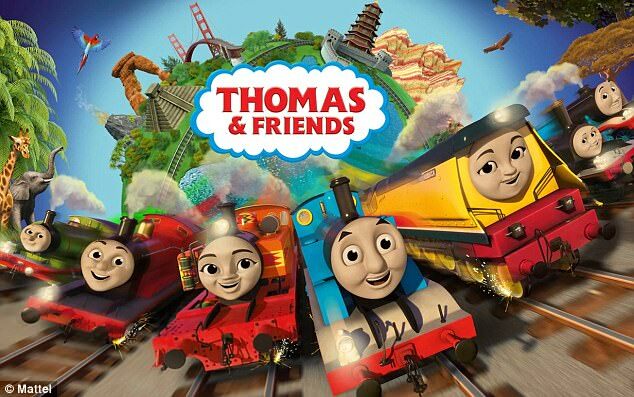 The Thomas & Friends brand has been translated into 40 languages and is broadcast in 150 territories. Maher Nasser, director of the outreach division for the UN Department of Public Information, said the collaboration provides "a unique opportunity for the UN to directly reach out to new audiences - pre-schoolers and their caregivers - in over 30 languages, and stimulate conversations in households on [our] agenda. "It is also very encouraging for the UN to see that the new season will be introducing lead character engines that are girls, including an empowered girl engine from Africa." Toluope Lewis-Tamoka, from the UN's Africa division, acted as a consultant on the design of Nia. She said: "An African engine is important... We need to change the narrative and show that Africa is a continent with different and diverse countries where girls, just like boys, have abilities, skills and potential and where girls and women can play active leadership roles."